Kershaw Leek Knife Review – Is It Really Worth It? In this article I will be talking about the Kershaw Leek Knife, its many features, what I think about it and explaining if the knife is right for you or not. 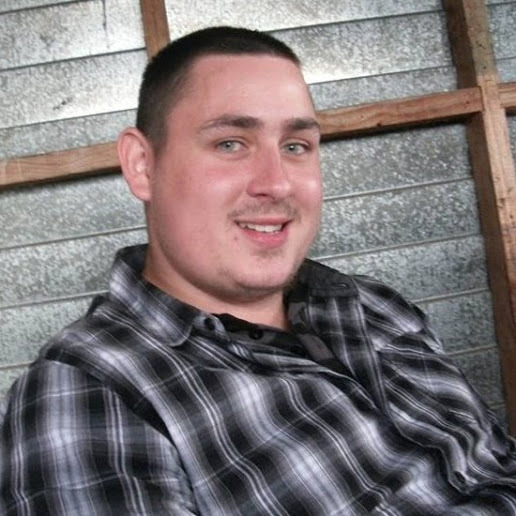 I’m an avid camper and hiker, so handling knives is just as important for me as it is for you. You will find all of my findings in my Kershaw Leek Knife review below. What does this thing do? The knife comes readily available – razor sharp, tucked away safely in a SpeedSafe ambidextrous assisted opening system, so the user can easily and smoothly ready the blade with his left or right hand. What ultimate benefits does this specific product provide? I like how it’s lightweight, available right away with a razor-sharp blade, slim and always quick to deploy. I find this knife highly preferable for Every Day Carry – cutting boxes, plastic packaging. However, the ideal user is for someone who always needs a knife by their side, at the ready. Because of the razor-sharp blade, I don’t recommend this for someone that hasn’t handled a sharp knife before. If you are a person that’s completely comfortable with equipping and using a sharp knife then this is right for you. Great for fisherman and camping or any task where using one hand is common – because that’s what you’ll be deploying this knife with. 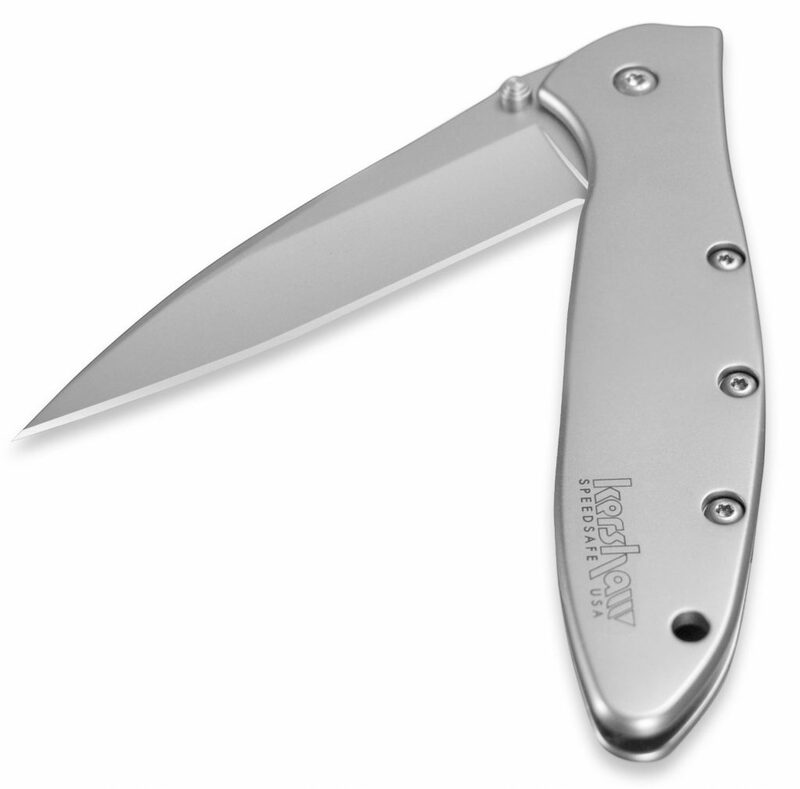 The Kershaw Leek Knife varies around $30-$40, with the cheapest place to buy being Amazon.com INCLUDING free shipping with orders over $49. Although the knife is completely sharp when you get it, eventually it will need to be sharpened. If you are someone that can not sharpen a blade, then you can pay for 1-way shipping back to Kershaw and they will sharpen it at no cost. I find one of the best features about this knife is the slim, lightweight, stylish look and can be deployed with a single hand while still staying safe. The blade is always razor-sharp as soon as you get it, making it ready-to-use upon receiving. One of the high points about this knife is the flawless assisted opening, lightweight and its ability to compact. Perfect knife for people with small hands, as most assisted opening knives are too bulky, making it difficult for small handed people to use or too powerful when the blade snaps open. There’s a downside I found about this knife – the tip is really thin, making it delicate – and extra caution will have to be taken when using the knife. The knife will need to be used in a safe and careful manner because too much ‘rugged’ force may SNAP the tip of the blade. There’s also a common problem that the blade is flimsy, and soft making it only usable for Every Day Carry. The plastic guard that stops it from opening is also cheap plastic, making it break easily. You may need to tighten the Allen screw often to stop the safety slipping in the pocket. If you’re looking for something that can handle a lot more rugged force and not going to break at the first moment you pry or dig at something, then the Morakniv Fixed Blade might be what you’re after, and also a lot cheaper as well. Although there are a lot of people claiming that the Kershaw Leek Knife is good to use for all tasks, this might be true but I bet they’re taking a lot of care to stop the blade and safety latch from breaking. Don’t get me wrong, this blade is simply amazing, lightweight, slim and razor sharp. However I think this knife is only good for Every Day Carry and not something you want to use for more rugged material where you have to use a lot of force. If you still want the Kershaw Leek Knife then click here to see it on Amazon. 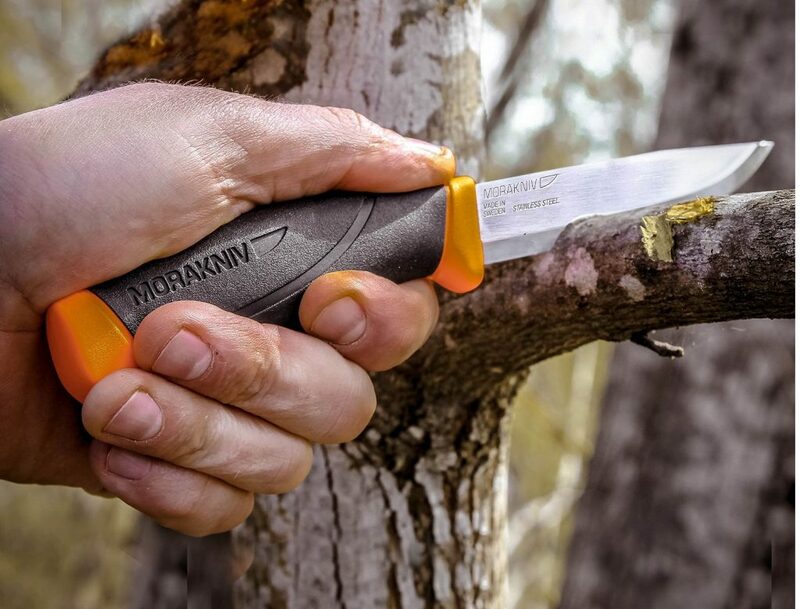 However if you want an alternative, cheaper knife that is stronger and able to handle more rugged material, the Morakniv Fixed Blade is highly recommended.